A cost-effective, efficient and fast solution to monitor source water, reservoirs, and water treatment processes. 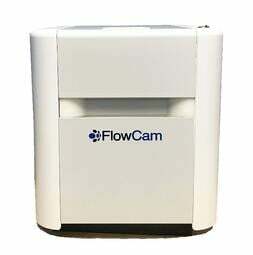 Reduce labor hours, detect nuisance algae, and predict harmful algae blooms or taste & odor events with the FlowCam. 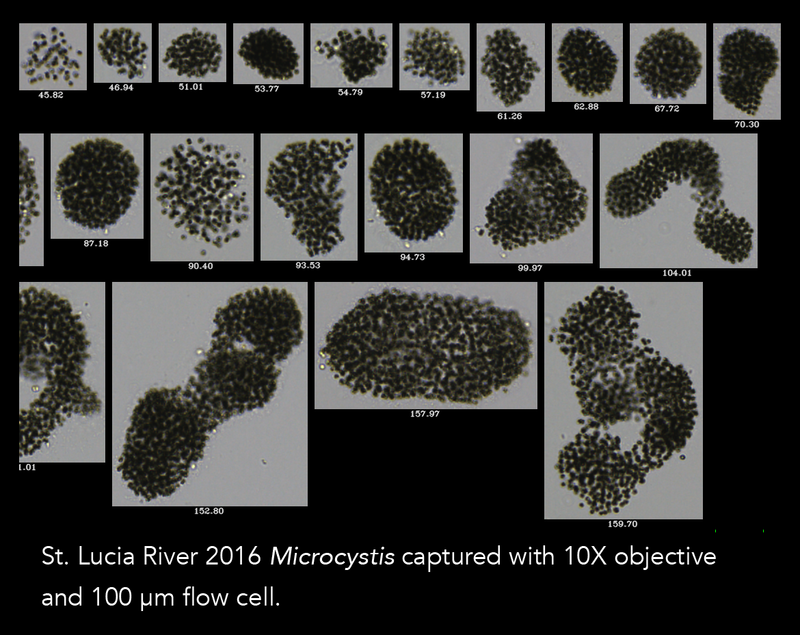 The FlowCam is a high throughput, semi-automated alternative to manual microscopy. 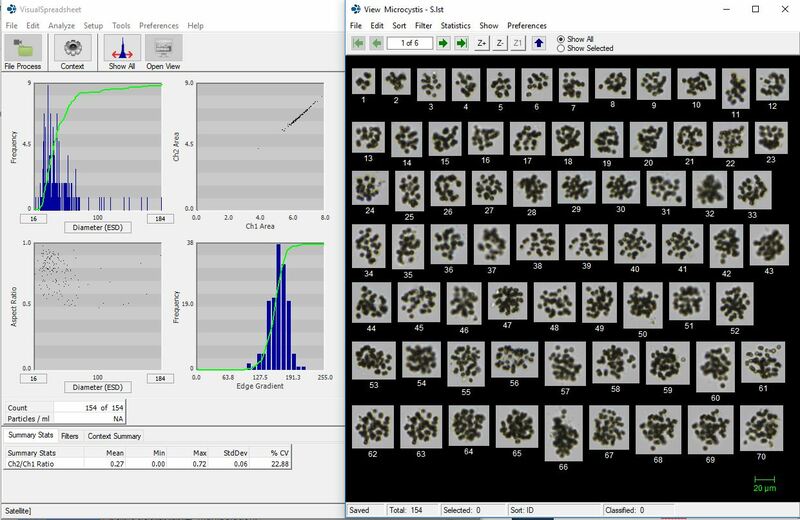 VisualSpreadsheet® software performs image analysis by measuring 40+ morphological parameters including biovolume, coloration, shape, and size to classify taxa. 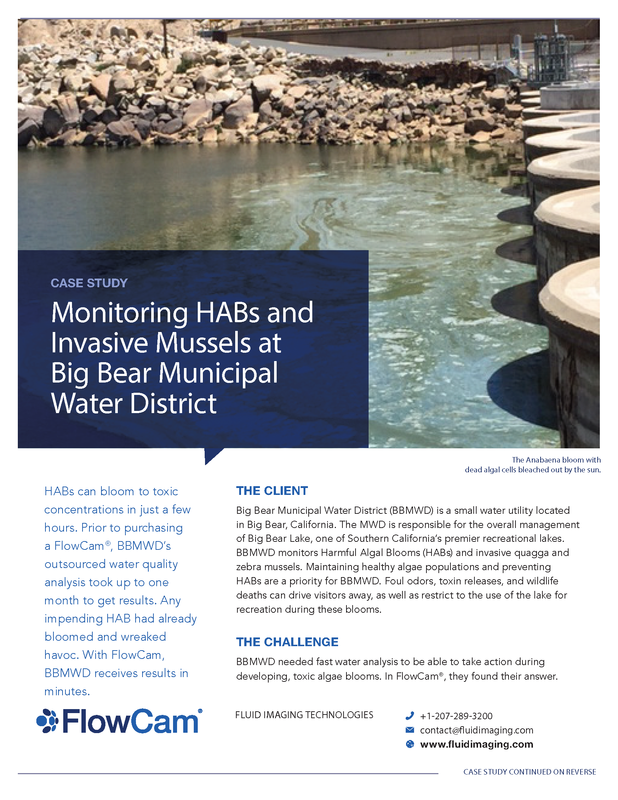 Visit Drinking Water Monitoring Resources Page for case studies, algae guides, posters and more. Data are analyzed using VisualSpreadsheet, either on the FlowCam or a personal computer. Image libraries and statistical analysis techniques enable identification and classification of taxa. Reports can be exported in CSV format. Differentiate cyanobacteria from other algae using fluorescence data. Compatible with FlowCam Automated Liquid Handler. How does the FlowCam Cyano work? Will the FlowCam Cyano work for you? 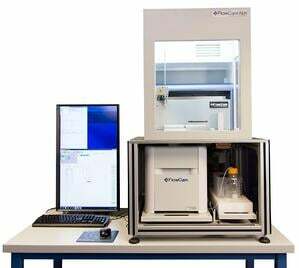 For automated, high-throughput, unsupervised sample analysis of up to ninety-six 1-mL samples. Compatible with the FlowCam 8000 Series and FlowCam Cyano. Will the FlowCam ALH work for you? Inquire about a demo. Our proprietary software VisualSpreadsheet performs image recognition, particle measurements, statistical analyses, data collection, and enables data manipulation. With VisualSpreadsheet (ViSP), which is included with every FlowCam, you can create image libraries, digital filters, and use machine learning for auto-classification. View data in ViSP or export to Excel in CSV format. Visit the ViSP page for more information.